Spring is the perfect season for pruning, planning, and planting. 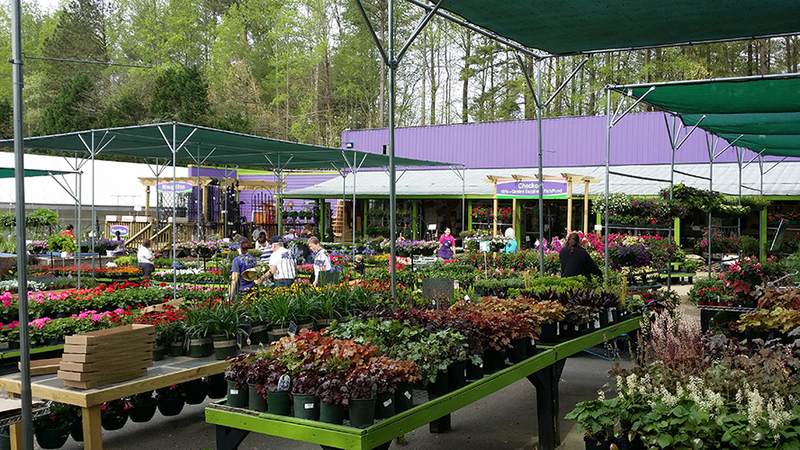 As warmer weather arrives in the Triangle, along with it comes eager gardeners ready to dig their hands, spades, and shovels into the soil. Knowing what to do and when to do it can be overwhelming, but landscape professionals from three local garden centers offer tips for a successful spring gardening experience. First Things First: Bed Prep and Pruning in Early March. If you are preparing new beds, incorporate organic soil conditioners and enhancers before planting. Clay soils, common in this area, have different requirements than sandy soils. It is a good idea to have your soil tested, so you will know the proper amendments to add. Testing is available year-round through the North Carolina Department of Agriculture and Consumer Services. Clean up existing garden beds by raking out the last of the autumn leaves. Winter-damaged ornamental grasses, such as maiden and fountain, can be cut back nearly to the ground in early March, before new growth emerges. Steve Brown, nursery department manager at Homewood Nursery & Garden Center in Raleigh, recommends pruning the woody stems of hardy lantanas and hibiscus to the ground now. New growth will appear from the base in April. When pruning, timing is critical for different species. Many roses, including overgrown Knock Out roses, can be pruned in early March, but climbing roses are pruned after blooming. Evergreen hedges can be pruned minimally to keep them in shape. Most heavy pruning of shrubs is done in late winter before new growth starts. John Higdon, owner of City Garden Design in Cary, says a common mistake is pruning shrubs at the wrong time and losing the flowers. “Wait until after spring-flowering shrubs bloom, then prune,” he cautions. Dead or damaged wood can be removed at any time. Crepe myrtles can be pruned in early March, but should never be topped off to control height. “Please don’t murder your crepe myrtles,” says Mike Riha, director of design at Atlantic Gardening Company in Raleigh. Digging In: What to Plant in March and April. The spring planting season begins in March with hardy perennials such as purple coneflower, heuchera, salvia, verbena, black-eyed Susan, and phlox. Shrubs can still be planted, but the earlier in the season the better, so that the roots become well established before summer. Wait until after the average last-frost date before planting annuals and tender perennials like petunias, coleus, and begonias. In the Triangle area that is typically mid-April. Bulbs and tubers such as elephant ears, alliums, lilies, caladiums, cannas, and dahlias can be planted after the soil temperature has warmed and all threat of frost has passed. Brown says ensuring healthy root growth is important when planting in the spring. He suggests using a liquid root stimulator or an organic starter fertilizer, like Bio-tone, to help newly planted roots get well established. Without good roots, the plants will struggle all summer. 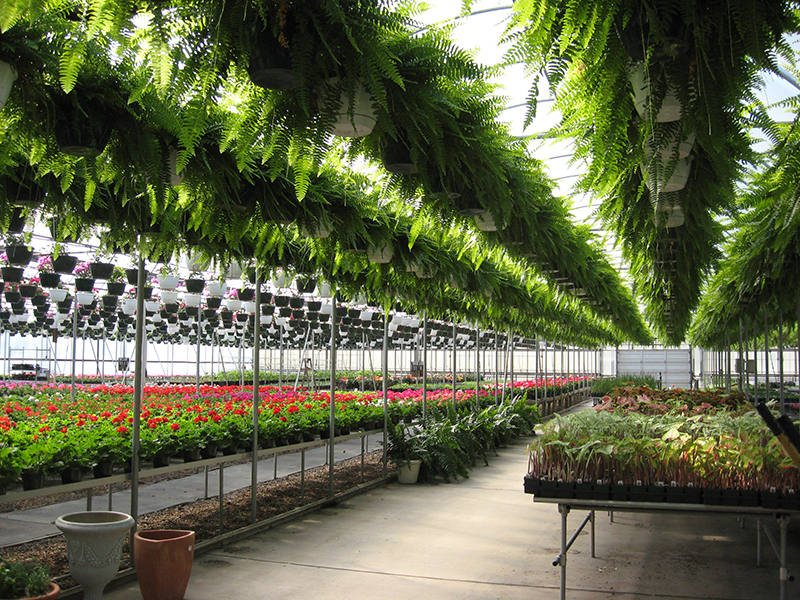 The first consideration when choosing plants is picking the right plant for the right place. 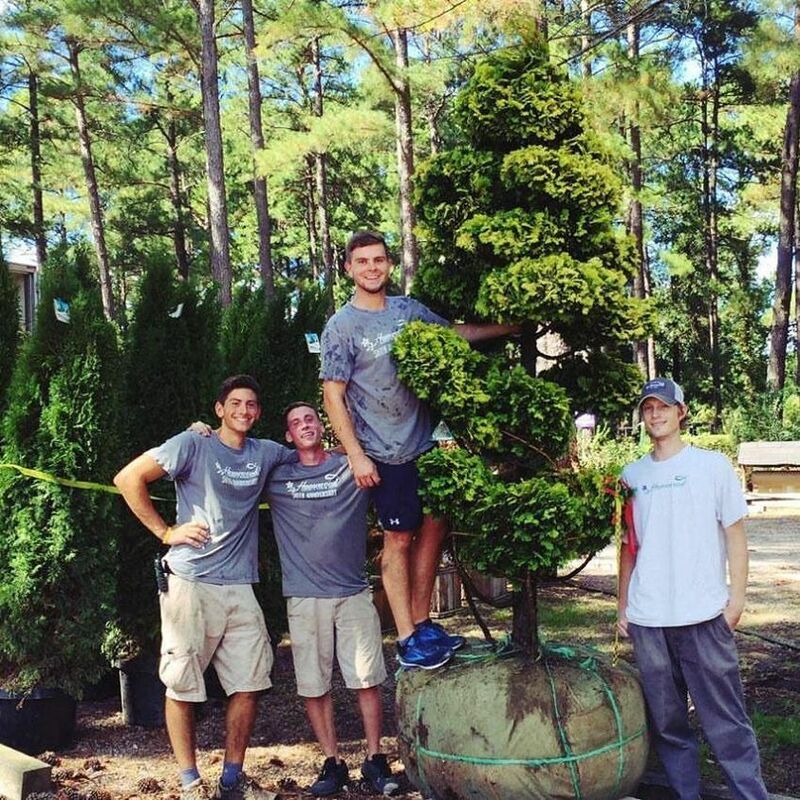 Don’t buy a shade plant for a sunny spot, or plant a tree where a shrub would be a better fit. Check each plant’s requirements and make sure they match your landscape conditions. Although it’s tempting to buy 10 different plants, that won’t create the biggest visual impact. “Pick three or four plants and buy five of each one. It will cover a larger area, look more cohesive, and put on a greater show,” Riha recommends. Leslie Froh, landscape designer and Riha’s co-worker at Atlantic Gardening Company, suggests that March is a good time to dig up and divide perennials. She says, “You’re basically getting two or more plants for the price of one.” Riha adds, “It’s also important to do this because it improves the health of the plant.” Shasta daisies, bee balm, and hostas are a few that can be divided now. 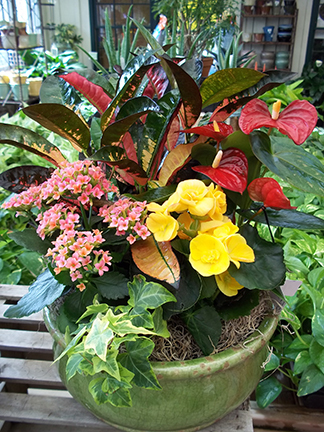 Higdon says clients always want more color in their gardens. He recommends incorporating tropicals into beds, and he especially likes bougainvillea for its vibrant color and long-lasting blooms. He notices a growing trend of mixed-use gardens where ornamentals are planted alongside edibles, such as blueberry and raspberry bushes. “That way you are getting more than just a shrub, you are actually providing food for yourself or the birds,” he says. Shrinking lawns are also becoming more popular. “People want to start using their land for more than just grass. They’re getting more bed space, using less fertilizer, and creating less runoff. That’s a good thing for the environment,” he adds. When planting in the spring, also remember to plan ahead for interest in later seasons by including plants that provide fall leaf color, winter bark, and interesting seeds and berries. After beds are planted, a layer of mulch offers a finished look, holds in moisture, controls soil temperature, and discourages weed growth. Pine straw, pine bark, and hardwood are popular mulch choices. All of the landscape professionals agreed on one thing: Don’t be tempted to think that more is better when it comes to mulching. They caution homeowners to leave space between each plant—whether it’s a tree or perennial—and the mulch. Neglecting to do so results in limited airflow, water restriction or retention, and inhibited growth. Contain Yourself: Keep it Simple with Window Boxes and Container Gardens. Don’t forget herbs when you are planting your containers. Many, such as rosemary and thyme, provide wonderful fragrance, and can also be used in cooking. Higdon suggests planting small citrus trees in containers, noting that he had more than 70 lemons on one tree last year. One last piece of advice: Buy a comfortable garden bench so you can relax this summer and enjoy all of the work you’ve done during the spring season. For bodies that have spent the winter indoors, gardening can pose physical challenges and—in some cases—create injuries. Many people develop injuries—like tennis elbow, back strain, and shoulder pain—because they are going from fairly sedentary indoor activities to intense outdoor activities. Wittstein says the best way to avoid an injury is to build up your strength in preparation for spring gardening activities. “Proactively strengthen your arms and your core, so that you are ready to participate without putting yourself at risk of injury,” she says. She recommends doing some light stretching and strengthening of the muscle groups you will be using. A simple exercise that helps avoid tennis elbow is holding the elbow straight and slowly bending the wrist first up, then down. Repeat several times on each arm. She also suggests using TheraBands or pulley-type exercises at the gym to strengthen shoulder muscles. If you do experience aches and pains, it’s important to address symptoms as early as possible with home-treatment options like stretching, strengthening, resting, and using ice and an over-the-counter anti-inflammatory. “Most of the time overuse injuries should get better with rest,” Wittstein says. If symptoms persist for more than a couple of weeks, she suggests coming in to be evaluated by an orthopaedist.